San Diego is the craft beer capital of the country as far as I am concerned. 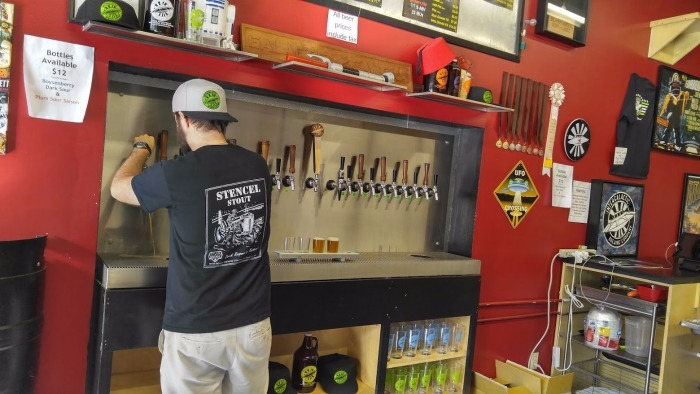 While there are many towns across the country where there are fine people brewing great beer, no town has a culture of beer quite like San Diego. 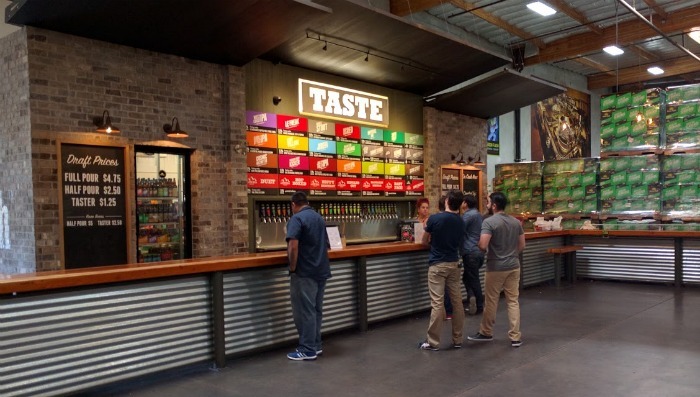 With more than 100 breweries in the county, there is something for everyone from large breweries like Stone, Ballast Point, and Green Flash to tiny ones like Intergalactic you are sure to find one that matches your personality. While I dream of one day having been to every brewery in San Diego, last weekend I took two friends on a whirlwind tour of five of my favorites. To ensure that we stayed safe while having a great time (don't drink and drive folks! ), the great folks at Aall In Limo and Party Bus offered to drive us around in their brand new Mercedes Party Bus. 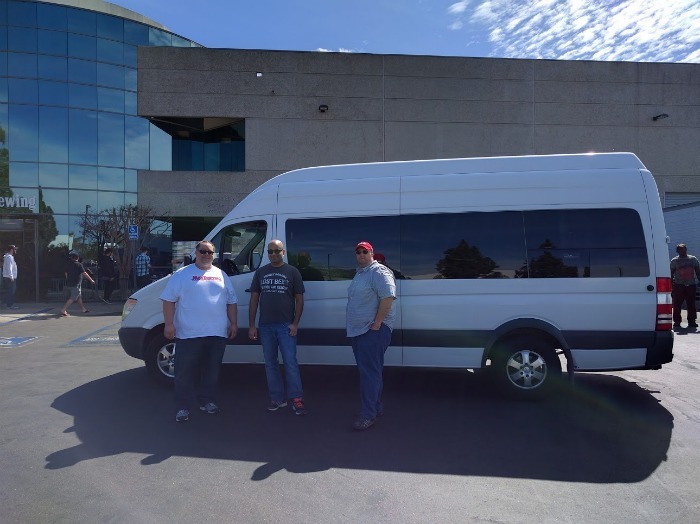 While you can certainly pick one of your friends to be the designated driver, having a bus stocked with waters and a TV was certainly the ideal way to travel. Plus, there was no fighting over directions and when we were done, all I needed to do was text the driver and he was geared up for the next stop! Founded in 2002, Green Flash are the guys that launched the now iconic West Coast IPA. You know you have something special when a single beer launches an entire flavor profile that defines the California beer scene today. The distinctly hoppy beer with a twist of citrus isn't for everyone but it is among my favorites. 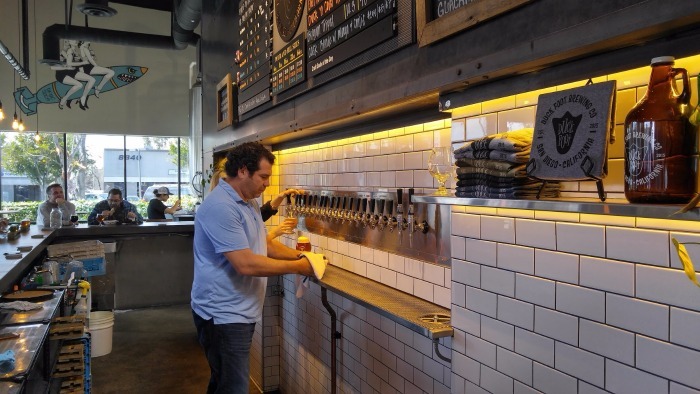 Today, they are one of the largest breweries in San Diego and ranked at #48 by volume among craft brewers in 2014. On the other end of the spectrum, are small craft breweries like Mike Hess Brewing. While they have larger locations - I love this one stuck in an industrial park where it's almost like having taps in a friend's garage. This is what I love about San Diego breweries. Hess makes phenomenal beers but it's fun, laid back and pet friendly. 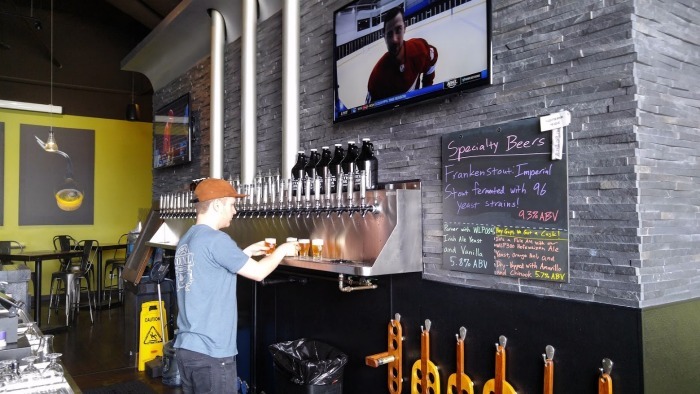 Stop by sometime for a wicked game of jenga and table tennis while enjoying amazing beers like Claritas (2014 Gold Medal-winner at the AmeriCAN Canned Craft Festival) or Solis (2014 Bronze at AmeriCAN). 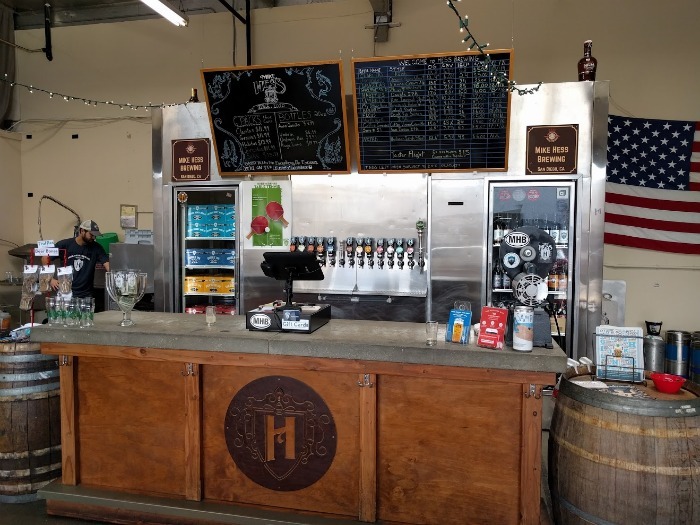 Between this and their North Park location, Mike Hess Brewing is one of the most popular craft breweries if you ask San Diego locals. As one of the newest breweries in the incredibly crowded San Diego beer scene, they are now one of my favorites. First off, Duck Foot's beer is seriously good - but it's also gluten free. While that's not a big deal for most people, my wife is gluten free now and so it's great to know that there is a brewery where she can go and not have to settle for one style. Additionally, while I LOVE my super hoppy "West Coast Style IPA" I also appreciate beers that are well balanced and their Duck Foot IPA is just that. With a bitterness of only 68, it is still up there but still very drinkable. Everyone knows that beer is made from malt, hops, water, and yeast ... but while malt and hops get most of the attention, yeast is just as important (debatebly even more so). So, what happens when you merge the explosion of bio-tech companies and the amazing beer scene? You get a brewery dedicated to creating the best and most unique yeasts for home as well as commercial brewers around the world. 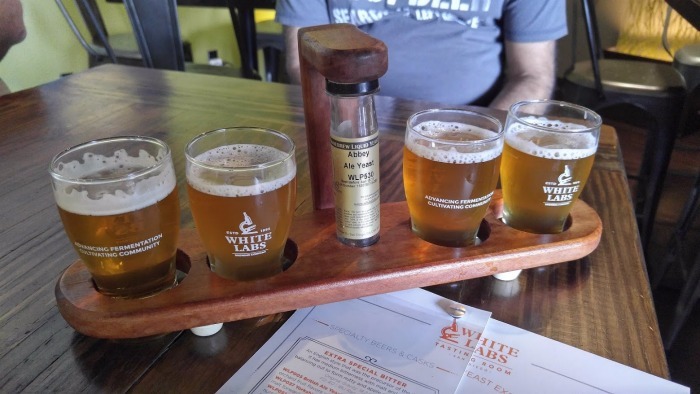 Until our visit to White Labs, I didn't even have a clue how much of a difference yeast made. So when you visit here, make sure to order one of their flights. Each of the beers has essentially the same ingredients - except the yeast. You'll be amazed at the difference in flavors, color, and smell. Nerds are nerds and just because the guys around the corner are wearing lab coats doesn't mean you can't geek out a bit about brewing great beer while debating who was the best Dr or if Han shot first. While they don't always have them on tap here, Intergalactic Brewing has some amazing sours that they bring out for festivals. The rest of the beer here is great though and it's worth a visit if just for the chance to order a Red Planet Rye, Subspace Session, or a That's No Moon Triple IPA. Stone Brewing - Stone does great beer and they have amazing beer gardens, but the Tap Room at the Ball Park is my favorite location. It's close and homey and it's a great place to retreat to when the Padres aren't playing the way you wish they would. Modern Times - The Point Loma "Lomaland Fermentorium" is my favorite location and like others, it's in a warehouse decorated with post-it-note murals and old books. They are currently my "go to" brewery. Their Fortunate Islands is probably my favorite beer right now (aside from Cali Creamin' from Mother Earth) and when it's on tap, their Black House with coconut and vanilla is the only stout that I actually enjoy. Oh and for those of you who love coffee - they also roast their own beans here. Societe Brewing - maybe a bit snobby about beer, they prohibit tour buses (except those that are approved by them and that focus on education). Frankly I don't blame them, it's a great place with awesome beer and you don't want a bunch of crazy drunk tourists crashing the party. Karl Strauss - One of the larger breweries and a great brew-pub style brewery, I like all of their locations. You should absolutely check out their Sorrento Mesa restaurant for Sunday brunch. The beer is good and so is the Red Trolly syrup, tri-tip, and it's in an old sushi restaurant complete with coy pond. 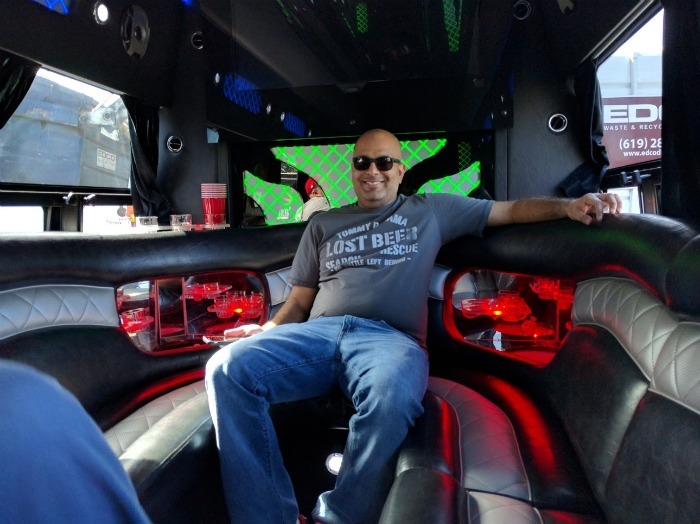 Thanks again Aall In Limo and Party Bus! Our San Diego Brewery Tour was a lot of fun and we couldn't have done it without you guys driving us around.